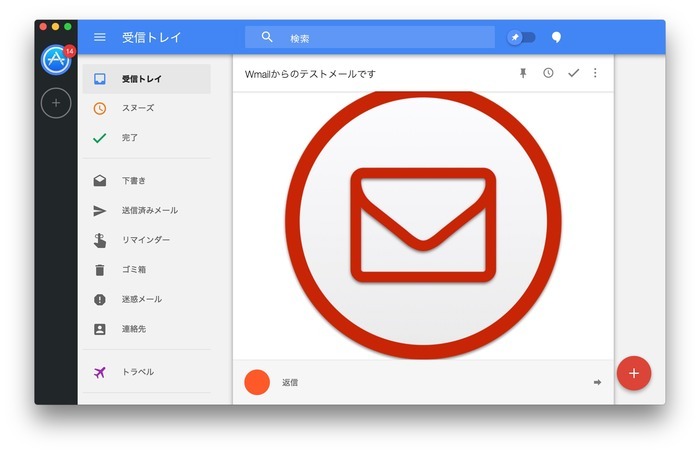 Google Inbox&Gmailに対応したMac用メールクライアント「Wmail」がリリース。 | AAPL Ch. A Mac app wrapper around Google Inbox and GMail. Multiple account support, unread notifications and more. Makes using Google Mailboxes feel that little more native on osx.